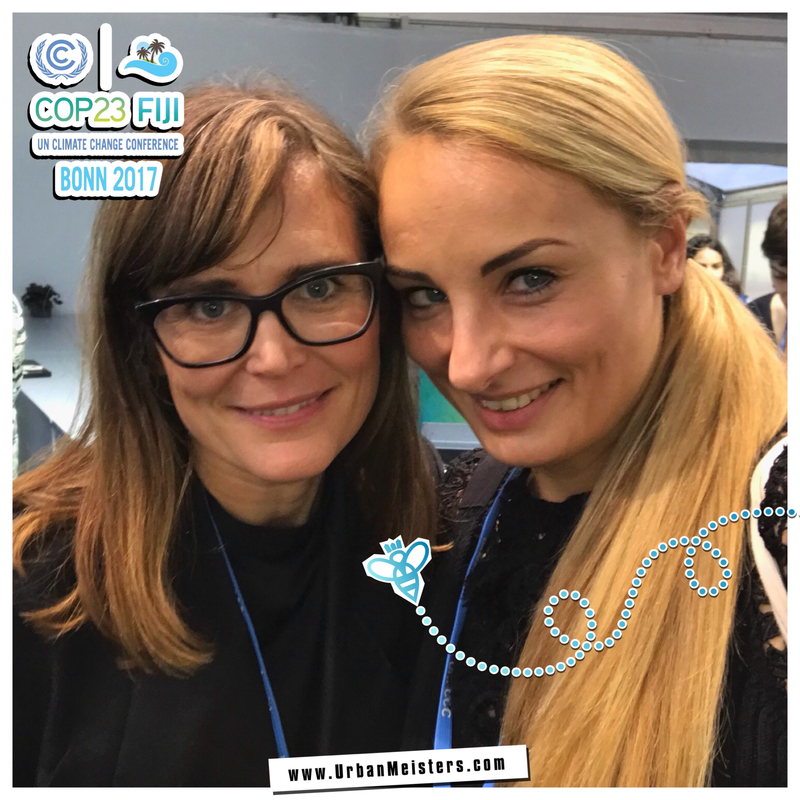 At COP23 Fashion courts Climate Action & their hot circular chemistry! 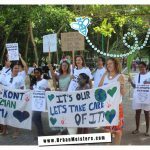 UrbanMeisters, it’s an exciting green time in the world of better living through #ClimateAction! 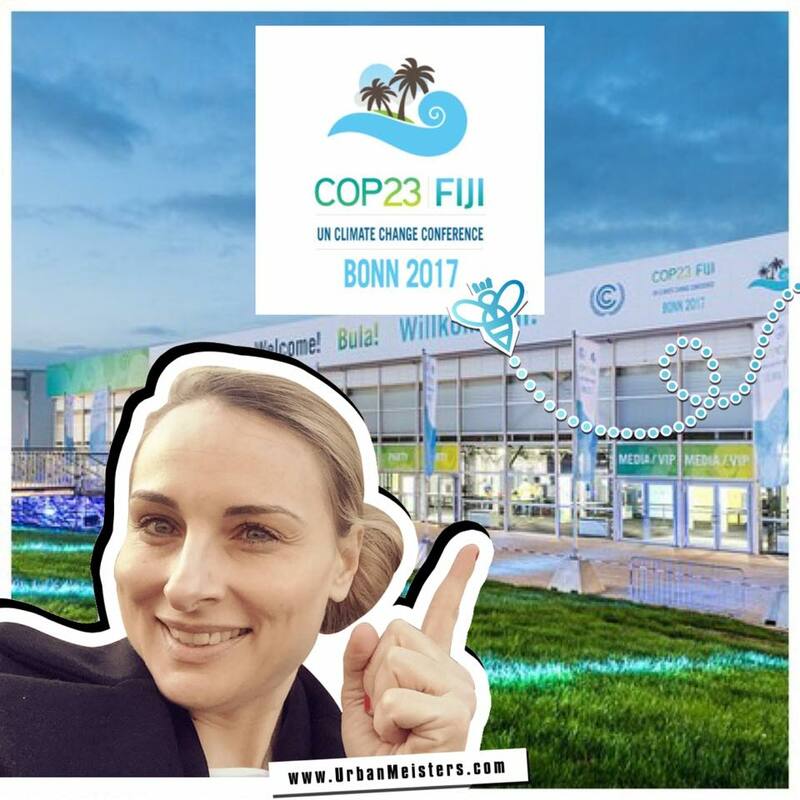 COP 23 (stands for the 23rd edition of Conference of the Parties) is the UN Climate Change Conference took place in November 2017 in Bonn, Germany and presided over by the Government of Fiji. 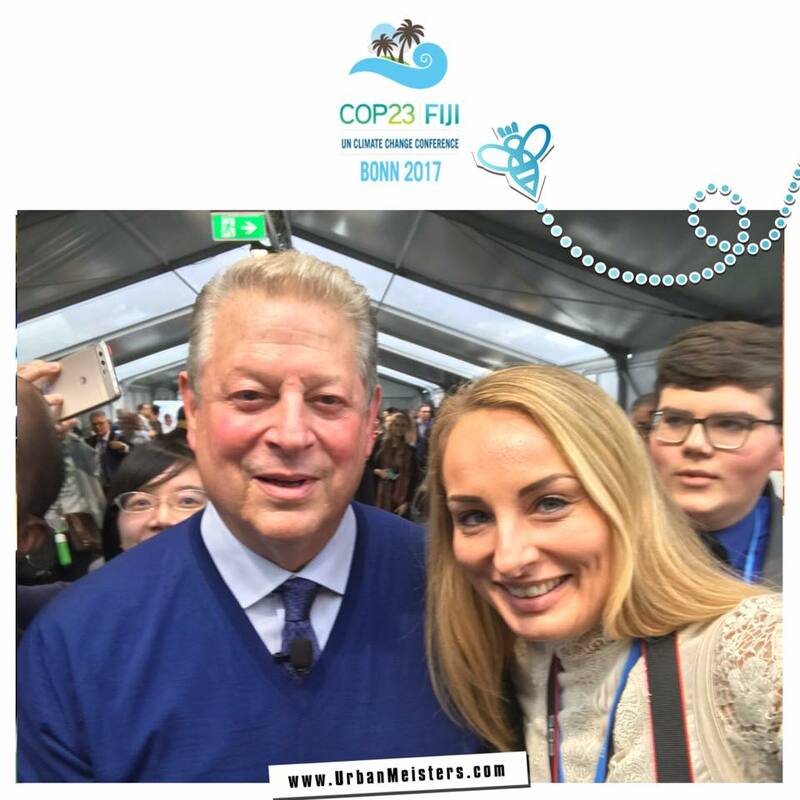 Founder Mirela Orlovic was in attendance and reporting live (including sending us envy-inducing selfies like the one below with green leader Al Gore). Mirela was part of the Seychelles Support Team as a sustainable lifestyle expert and influencer under the lead of honorable & inspiring United Nations ambassador Ronald Jumeau. The ambassador had forged a unique & talented team of Seychelles & International Youth to trigger the exchange of creative climate action solutions. 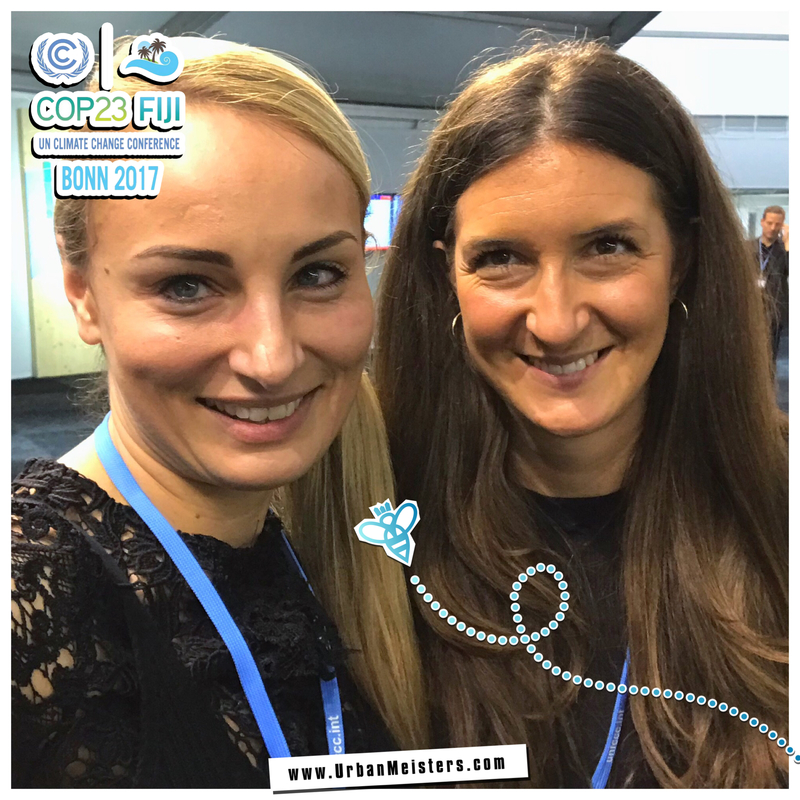 While the conference was huge in its scope and discussion, given it’s the biggest global climate conference, Mirela attended one of the most exciting first-of-its-kind COP23 fashion conference at UNFCCC side events on how the glam fashion industry sees its impact on global carbon count and how it takes climate talk seriously. 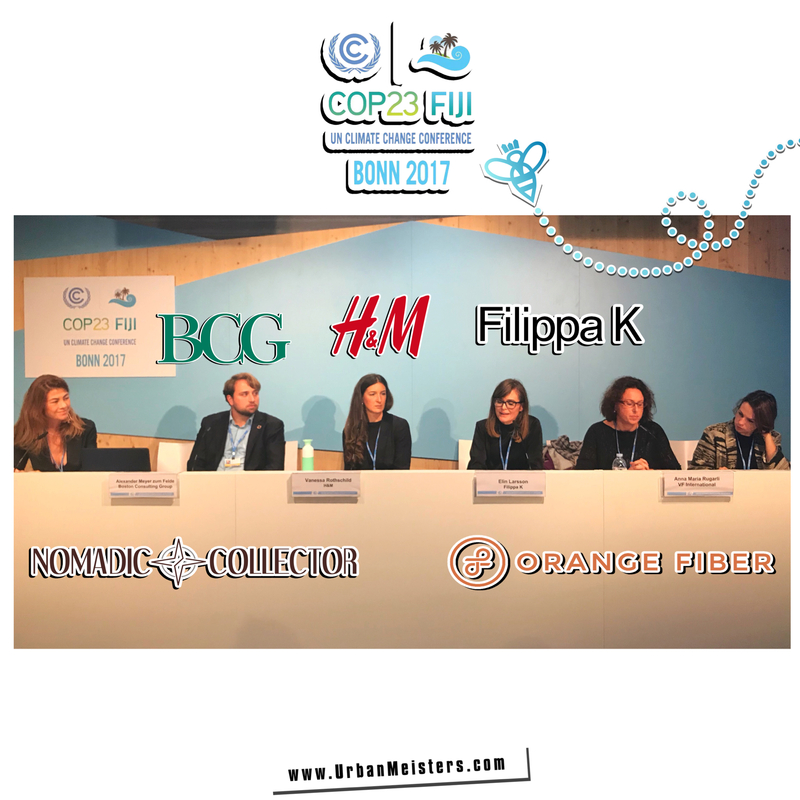 This was the first time where more than marketing, fashion brands like H&M & Filippa K explained their concrete steps to cut carbon footprint especially through the Circular Economy model! We explain everything below in our report from ground zero. First – What is COP? COP23 is the informal name for the 23rd Conference of the Parties to the United Nations Framework Convention on Climate Change (UNFCCC). The UNFCCC was adopted in 1992 at the Rio Earth Summit, which marked the beginning of the international community’s first consolidated effort to confront the problem of climate change. The first Conference of the Parties was held in Berlin in 1995. In 1997, the participants established the Kyoto Protocol, which included legally binding obligations for developed countries to reduce their greenhouse gas emissions. 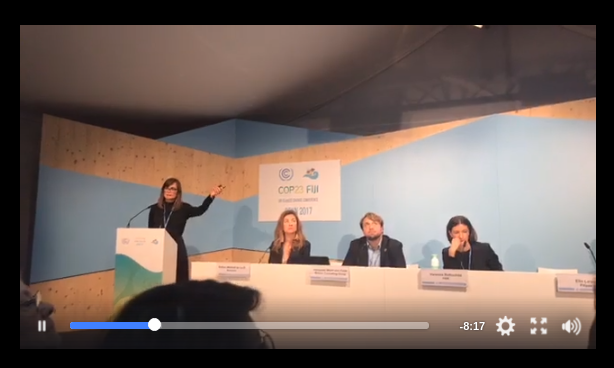 At COP21, held in Paris in November-December 2015, the parties negotiated what is known as the Paris Agreement – made famous globally by President Trump for choosing to opt out of it! The agreement took effect nearly a year later. Signatory countries agreed to work to limit global temperature rise to below 2 degrees Celsius and to make strong efforts to keep the rise to 1.5 degrees Celsius. The Paris Agreement is especially significant because it is a legally binding agreement. 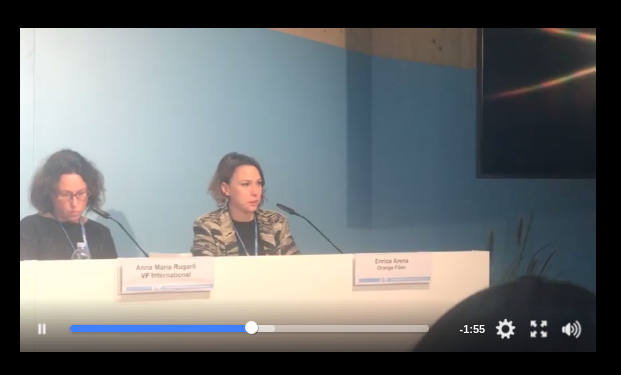 At COP23, the fashion industry gave a compelling picture on how fashion has serious connection with climate change. Here’s Mirela’s low-down on all that was discussed. 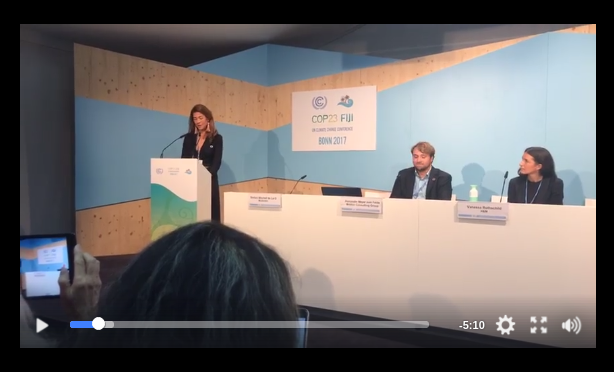 Wednesday 8th November 2017, 13:15 – 14:45 p.m.
First event of the Fashion-Climate dialogue of UNFCCC was on how to transition the industry into a future which is aligned with the goals of the Paris Agreement. The moderator of the event was sustainable fashion entrepreneur Stefani Mitchell de la O, from Costa Rica. For her, fashion, nature and city life all co-existed when growing up in Costa Rica. Actually since the 1950s, when the rest of the world fast tracked towards rampant development at the cost of the environment, Costa Rica took a stand on ecological conservation with climate policies that implemented sustainable development, resulting in a population where respect for the environment and ethical views were part of the culture. Costa Rica is indeed a sustainability pioneer, for example 99% of their energy comes from renewable sources. Achieving a climate neutral economy requires fundamental change from all factors of the business world, including and especially fashion. So Stefani founded the sustainable label Nomadic Collector producing hand made bags out of the finest sustainable materials, like reforested woods from Costa Rica and vegetable tanned and carbon neutral leather. Every bag is not only sustainable but a unique piece that will last you a lifetime. P.S.- By the way San Jose- the capital- is emerging as a leading sustainable fashion city, you can definitely put it on your bucket list. Stefani opened the session for speakers by setting the need for change & establishing fashion’s large impact on climate change with clear statistics from the Pulse report by BCG: while total impact of the fashion industry is difficult to assess due to lack of data and inappropriate tools, the sector’s CO2 emissions are expected to increase by 60% to nearly 2.8 billion times per year by 2030! He is the Sustainability Expert Principal at Boston Consulting Group – (BCG) a global management consulting firm and leading advisor on business strategy. They partner with clients from the private, public and not-for-profit sectors in all regions to identify their highest-value opportunities. In his talk he presented certain findings of the Pulse Report which was released in collaboration between The Boston Consulting Group & The Global Fashion Agenda (which has the Kering Group, H&M etc as its strategic partners). It made an in-depth assessment of the industry’s environmental and social performance. The €1.5 trillion fashion industry is one of the most resource and labour intensive industries in the world. He explained why are we talking about this and this is important for us consumers too. We are using up so many resources that the planet is not able to refurnish and renew itself and this is probably the biggest threat we are facing today. Earth Day marks the day in a year when we have used up all the resources that the Earth can renew/ refurbish in a year. And this now typically falls in the beginning of August. So our year’s quota is exhausted at that point and anything beyond that is a tax on environment. And going by usage calculations post Earth Day, we are using up resources of 1.5 planet per year and if we continue at this break neck speed then it will be 2 planets by 2030. The Pulse Score is a global and holistic baseline of sustainability performance in the fashion sector. It is based on Sustainable Apparel Coalition’s proprietary Higg Index and a survey of more than 90 senior managers responsible for sustainability issues and a variety of other sources, it offers the first comprehensive common fact base on the health of the industry – with a “Pulse Score” by type of company, size, region and stage in the value chain. The Higg index is the most extensive and representative existing transparency measurement tool of the industry. It covers the majority of large companies and was extended to gain a view on currently under represented small to medium-sized players. The Higg Index is a suite of self-assessment tools that empower brands, retailers and facilities of all sizes, at every stage of their sustainability journey, to measure their impact on environmental and social dimensions and to identify areas for improvement. Why do we need such reports? Gaining full transparency on the sustainability level of the industry as a whole is important because it gives the industry a common understanding of what the most critical issues across the value chain and by impact areas are. Perhaps more importantly, it sets the base for the landscape of change, channeling investment and innovation into those areas that smart businesses will capture and benefit from. As the Pulse report will be released annually, the Pulse Score further allows tracking the progress of the industry over time. By design it is impossible to achieve a score of 100 on sustainability, as this is intended to be aspirational or utopian if you will. 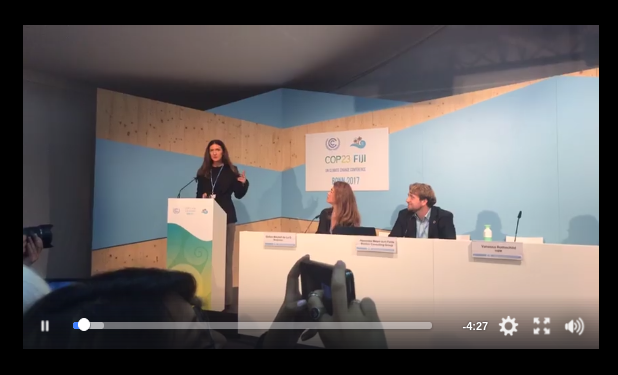 Vanessa felt proud to represent H&M and at the same time humble at the journey not just H&M, but the whole industry has in front of them to become truly sustainable. She started by explaining that sustainability itself is a part of H&M’s business idea, the best tool for them to evaluate decisions that the brand makes. To give an idea of H&M’s global presence and the impact it can have she shared H&M’s presence – 8 brands, over 4,500 physical stores globally and over over 1,800 first tiers suppliers. These figures alone give the idea of the need for change as well as the difficult task to achieve this, given the level of complexity of the supply chain. 3/ Switch to sustainable production processes – Bringing down chemical use, water use and using energy responsibly. 4/ Invest in prolonging the product life span – Once a product is purchased by a customer, what can H&M do to ensure thatproducts are used longer (through care and repair) and recycled into new materials. 2. Efficiency programs from 2013-2017 – H&M has partnered with multiple bodies to weave in social responsibility too. From STWI, NRDC, BM, PaCT, SIWI, Solidaridad it works with various bodies to address various sustainability agendas. Example: H&M and Solidaridad have been working together in several projects, from cotton fields to dyeing mills and sewing factories with aim to further improve social and environmental conditions in the supply chain and find better ways to support sustainability in fashion. Together they have developed and launched the cleaner production program “Better Mill Initiative (BMI)” in China. The BMI supports dyeing and printing mills around cleaner production in textile wet processing. 3. H&M has partnered with IFC to boost use of renewable energy with comprehensive plan for 3 countries, EE/RE pilots policy engagement framework. IFC is the private investment arm of the World Bank Group and they have launched a joint-partnership with H&M to promote the use of clean energy in the production of garments. Around 96% of H&M global operations use renewable energy. However the joint imitative could expand the firm’s sustainable approach to more independent garment factories that produce H&M clothing including those in China, India, and Bangladesh all of which are crucial to the company’s value chain. The development finance institution will also co-develop a platform to achieve significant reduction of CO2 emissions using clean energy such as solar, wind and hydro power. 4. Country level roadmaps – With its global presence, H&M plans to chart country-specific goals including policy framework, supplier energy mapping, stakeholder mapping, action plans to hit 2030 goals. 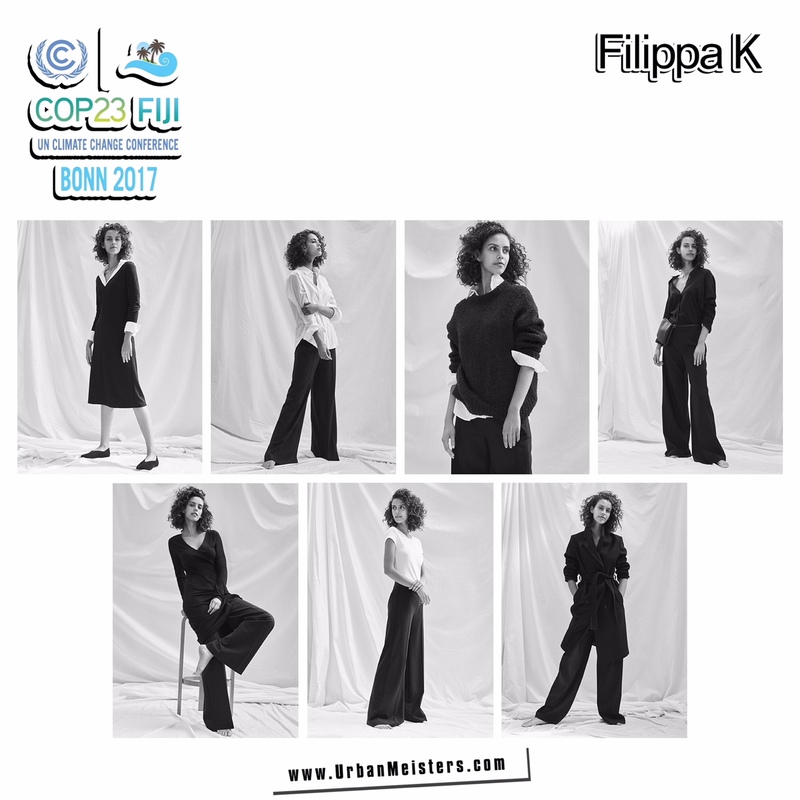 Filippa K is a leading Scandinavian / Swedish high-quality fashion brand, present in 20 markets through 55 Filippa K stores, more than 700 premium retailers, 300 passionate employees, with a turnover of approximately 650 SEK in 2016. Elin acknowledged that the brand realises there are planetary boundaries and that it is using too much of the resources we have today. Given this, the key question in front of the brand is how do they succeed in doing business within planetary boundaries? Because, while for the first time in history they have unified global goals, fashion is also a huge industry and on top the second biggest polluter after oil. This presents a massive challenge to go fully sustainable. And Elin added one more dimension to the challenge over the brand’s production process – the consumers and consumption process. To explain why consumption is also a challenge that needs to be taken into accounts by brand, Elin shared this simple yet shocking figure. At production level: for 1 kilo of cotton fiber – 3000 l of water, 1kg chemicals, 16 kilo of CO2 emissions and 0,5 kilo waste, 7 kilos of oil for transport. At consumption level: In Sweden 13 kilos clo0thing cotton-waste is disposed of per year. 8 kilos goes in waste, of which 60% of is still in good shape. Clearly consumers also need to act. Digital disruption – digital access is disrupting the whole industry & hopefully for the better, leading not only to technical innovation, changed production processes, but also communication, transparency etc. Reuse & remake: when consumers get tired of clothes before they get worn out, how can these clothes get chance to 2nd or 3rd life? 1. Reduce – clothes that last for long time in terms of quality and style, is their philosophy from the beginning. Filippa K deliberately designs at least 20-25% (1/4 products) of their pieces, as long stay classic items that are not ‘seasonal’ but more or less permanent. However they are a fashion brand after all and have to keep up with demands and trends hence there are seasonal collections too. As of now, the brand hasn’t got solutions to change this. The brand has a fiber tool as guidance for designers on what are the sustainable materials to use. The brand is aware that collaboration is key to drive global change towards sustainable textile and leather production, so it has engaged in numerous partnerships and collaborations with their value chains and NGO, suppliers, competitors, etc. to get them on the same table and discuss and be able to create the change they want to see. Erin shared an example that validates this as a step in the right direction – savings from a Chinese supplier, as far as waste, electricity, natural gas and even chemicals are concerned, have reduced. But it is also about including the customer – how can Filippa K re-shape consumption? An example Elin shared on getting customers to re-think consumption was the brand’s last campaign #NotThatComplicated – a showcase of how consumers can create a capsule wardrobe with only 7 pieces that give them 18 different looks. The brand questioned itself on how can it reach 2030 goals through more innovation? This is why they focus on Front Runners – Filippa K prototype garments developed as sustainably as is possible in today’s age. The Front Runners go through thorough sustainable life-cycle assessments, where every phase of the garments’ life-cycle; from raw material to afterlife; is examined and adjusted with minimal eco-system impact in mind. Looking at one material at the time, the plan is to make their entire collections sustainable by 2030 – with the Front Runners leading the way. It takes 2 years to develop a Front Runner. The learnings from the journey of the Front Runner is integrated in every day business and ordinary collection. 2. Repair – Try to inspire customers to care for the garment and repair. If a garment breaks Filippa K has services to fix it. 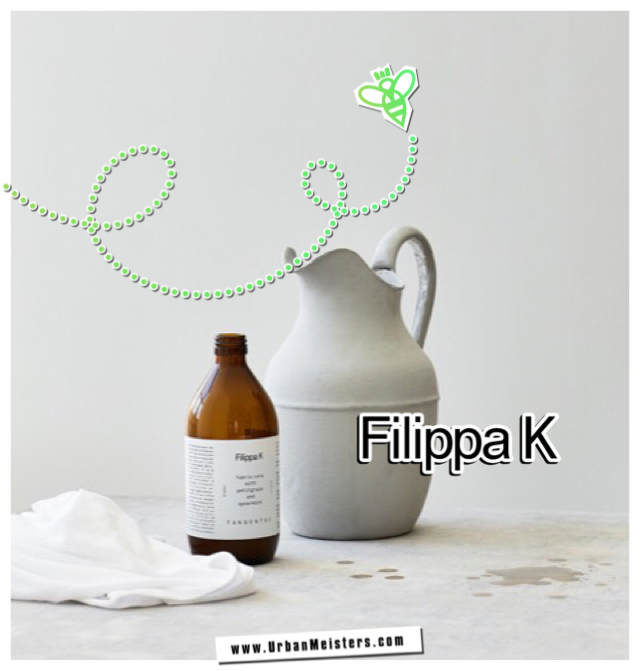 Filipa K also sells for example care products in order to talk to customers and educate. It also gives a 10 year guarantee for the Front Runners already launched to engage the customers into caring for the garments. 3. Reuse – To give garments a second life, the brand lets Customer can bring back used garments and get a reward in exchange. Filipa K also introduced a second hand store in Stockholm in 2008 which is profitable since day 1, and is now exploring how to scale this further. The brand has also launched a rental system in order to update wardrobe without contributing to over consumption – Fillippa K Lease . 4. Recycle – Currently the brand can guarantee full recycling only for front runner collection. But the cutting waste is collected and sent to fabric supplier who makes new fabric out of it. Conclusion: Clearly the need for change also needs all parties to act. Elin’s talk clearly established the need to cross-connect all points – brand to its consumers. But can this change also be achieved by cross-connecting industries? Yes! What is waste from one industry that can become resource for another industry as the next speaker’s talk proved. A marked increase in food processing over the past 50 years has gradually generated an enormous amount of non-edible by-products and has increased the senseless discarding and waste of natural resources. However, Orange Fiber can produce a high-quality fabric capable of bringing together two pillars from the Italian heritage – textiles and food – and respond to the demands of both innovation and sustainability in the fashion industry. Enrica shared that in Italy every year, more than 700.000 tons of citrus waste is produced, which gave the founding team the idea. Consequently they developed a disruptive technology that creates an innovative material out of these industrial by-products, the so-called “pastazzo,” that otherwise would be wasted. And what makes this a credible innovation is Orange Fiber’s distinguished B2B consumer – Salvatore Ferragamo who is the first fashion house to employ this innovative fabric! A surprising fact is that existing textiles are unable to satisfy the increasing demand in quantity and quality, even before issues of sustainability are considered. That’s why this new fabric is a double win- it does not place any increased demand in production of oranges and is yet able to provide sustainable resources. Mirela had a first-hand encounter with the fabric and said, “I touched the fibers they are extremely soft and look like silk!” Their fabrics are formed from a silk-like cellulose yarn that can blend with other materials. 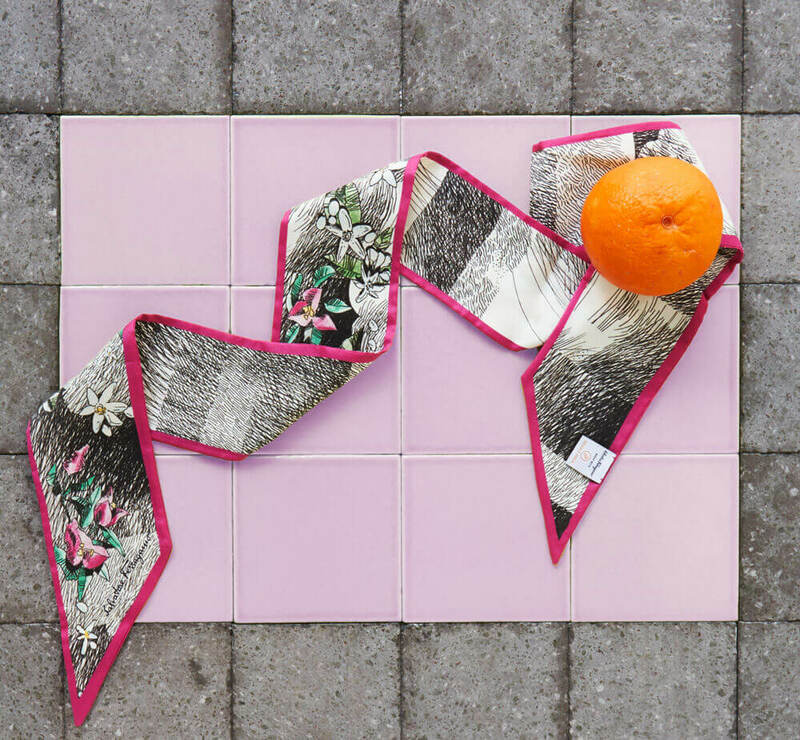 When used in its purest form, the resulting 100% citrus textile features a soft and silky hand-feel, lightweight, and can be opaque or shiny according to production needs. Conclusion: Innovative companies like Orange Fiber can help global brands scale to meet demands and yet help them in their sustainable product-design goals. But more importantly, it can help solve problem of waste in other industries. Not just fashion, but all industries must also evaluate and identify opportunities to solve climate problems jointly. UrbanMeisters, hello all the way from Bonn where yours truly is over-worked & over-caffeinated rushing about and bringing you all live action from this uber-energetic COP23 edition. Attending the UNFCCC side-event was a great choice. When fashion meets climate policy, you know it is serious. This was a one-of-a-kind event to happen at COP, since fashion is a lifestyle industry that’s usually not present in this way unlike all classic industries that are traditionally always present and prominent like energy. This was definitely demonstrating that fashion is serious about sustainability, and it gave me renewed hope. Disruptive technology will be key – today innovation technology is not advanced far enough, e.g. in recycling of mixed fibers. Industry needs to test more and see what works on a large scale as explained Vanessa for H&M. The words of Elin from Filippa K summed it up rightly when she said, “Be brave enough to try new things, humble enough to change along the way.” For example, there’s a need to understand recycled plastic deeper- if this is a good choice as at the end you end up bringing micro-plastics in the ocean. Fashion fundamentally implies a need to change looks. But it’s possible to indulge in fashion and encourage a more mindful consumption by giving consumer the right options e.g. 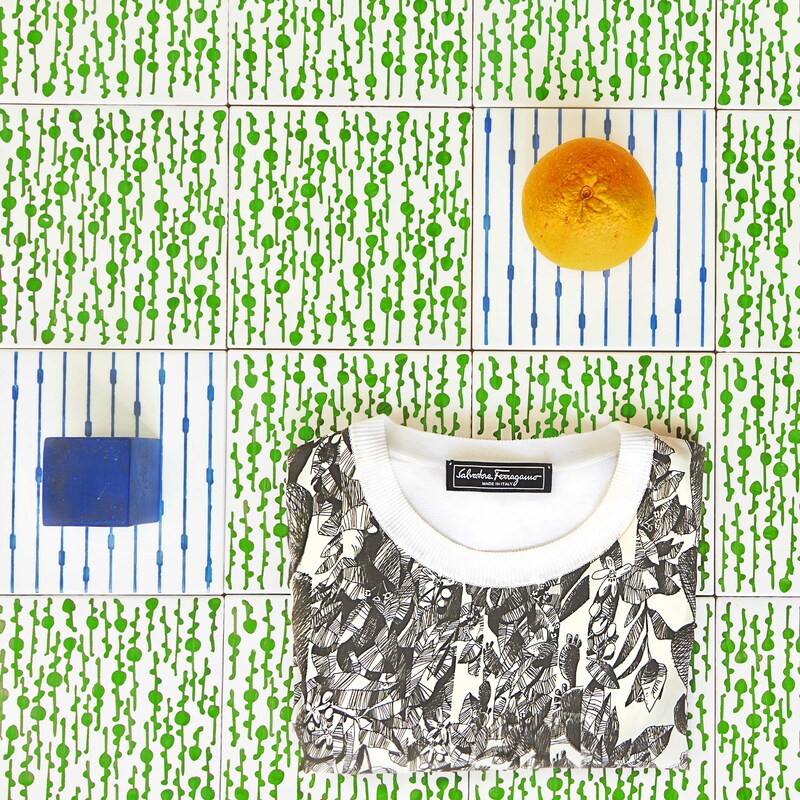 mixing outfits / capsule wardrobe, rental services (like this french startup Hylla) and other such ideas. So consumer education and involvement is key. This is why the presentation of Elin from Filippa K totally overwhelmed me as they do a lot for consumers to get actively involved. I think this action is needed of the big companies not only in fashion, but also everyday lifestyle consumer brands like Coca Cola, Starbucks, Apple, Google & Co. that need to educate the customers and lead them to more conscious consumption while achieving business targets. Also policy makers need to aid the fashion industry in making the right choices. Elin pointed out that, “today the bad choice is compensated with a low price and right choice pays more”. Even when companies try to change this, like Fillipa K, there are issues where policy can hold up or help. 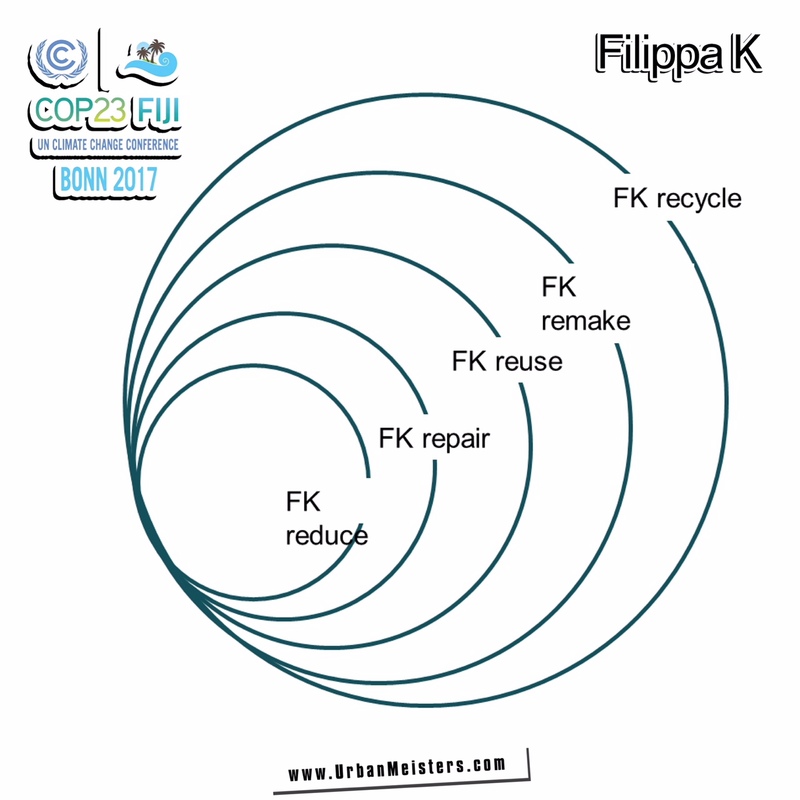 For example: Filippa K have come across some financial challenges associated with adapting their business to a circular economy. They have run into problems regarding VAT when rewarding customers who drop off old clothes through their Collect concept. To encourage customers to drop off their old clothes they reward them with a voucher of 15% discount on their next purchase. According to VAT legislation this is considered as a purchase of a voucher and they pay VAT on the discount that they offer and by doing that, they pay taxes for an amount that does not generate an income. In practice, it means they pay taxes on the clothes they collect. Consequently, they are now investigating how to change the reward to customers. Fashion is definitely a industry which is riveting in its design and aesthetics, but to me, even as consumer and NOT necessarily a sustainability-pro, the whole process of turning it sustainable is just as fascinating. Especially when my choices can help. What is heartening is that sustainability isn’t a trending movement, but a serious consideration to change and become a way of business and a way of expressing one self. Till then consumers, here’s how you can act to reduce your wardrobe’s carbon quotient with my expert tips! 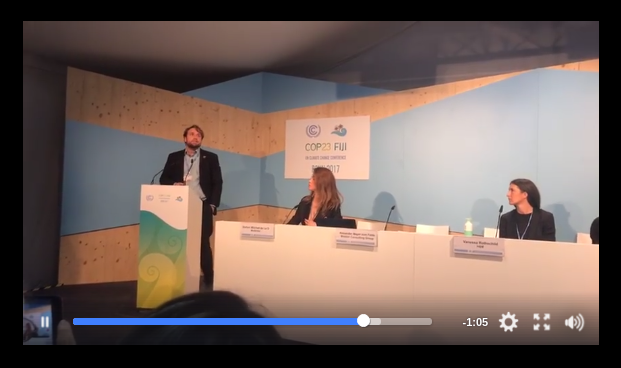 [COP23] Seychelles NGO shows us climate change needs us to change!